Rigorous selection of raw material, production systems above those of craft pasta factories, and product's guarantee of uniqueness are the essential secrets of La Pasta di Aldo in Monte San Giusto; an out-and-out jewel to store in any real gourmet's cupboard. 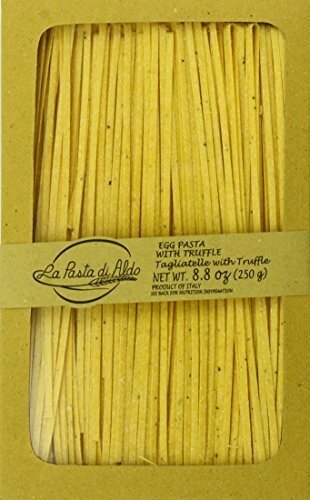 La Pasta di Aldo cooks in four minutes and when it is put on pan, it does not become mushy. At taste, it is rough and it absorbs and retains the sauce like few other pastas.